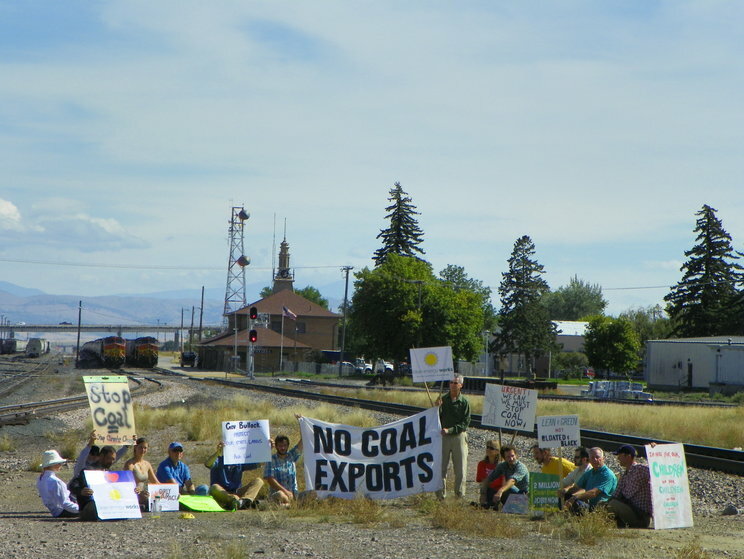 A group of protesters staged a sit-in along train tracks in Helena on Sunday to oppose a coal development proposal in the state. The act of civil disobedience led city police to issue 13 citations for criminal trespassing. The protesters sat on a patch of land between railroad tracks crossing North Montana Avenue, about 20 feet from the road. Security personnel with Montana Rail Link, which owns the land, and city police were at the site when protesters arrived. A U.S. District Judge ruled in favor of the Nez Perce Tribe and Idaho Rivers United today, effectively blocking megaloads from Highway 12 in Idaho. 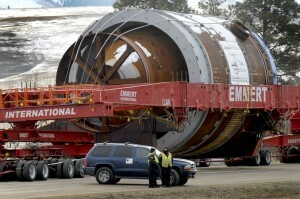 The Nez Perce brought the case to court in August, as Omega Morgan tried to transport General Electric megaloads up Highway 12 without asking permission from the Forest Service. The megaloads can be an estimated 21 feet wide, weighing 644,000 pounds, and their traffic up scenic Highway 12 (site of the famous movie A River Runs Through It) would disturb vital riparian and forest ecosystems. However, the ruling comes only after a week-long rolling blockade of Highway 12 that, at times, included 150 tribe members and activists, and resulted in the arrest of the entire tribal council. The verdict can be seen as vindicating the direct action of the tribal council, which brought international attention to the issue. As well as the Wild and Scenic Rivers Act, the Tribe’s Treaty rights, and the NFMA (National Forest Management Act) were also considerations for the injunction. The court’s injunction is effective over mileposts 74 to 174 on Highway 12 “until the Forest Service has conducted its corridor review and consulted with the Nez Perce Tribe.” Omega Morgan says they will lose $5 million dollars thanks to the court’s ruling, but the judge reminded the corporation that they had been warned in April that they would lose out if they decided to proceed without Forest Service permission. Omega Morgan has already begun looking for other options. read the judge’s ruling here, and another full story here at spokesman.com.